This is the way I mix colors for portrait painting in oil. This applies more to naturalistic representational portraits. When painting portraits, it is helpful to think about skin tone not as a flat color. If you actually look at the colors present in a person’s face in a certain light at a given moment and from a certain perspective, you realize the many subtle colors that are present. 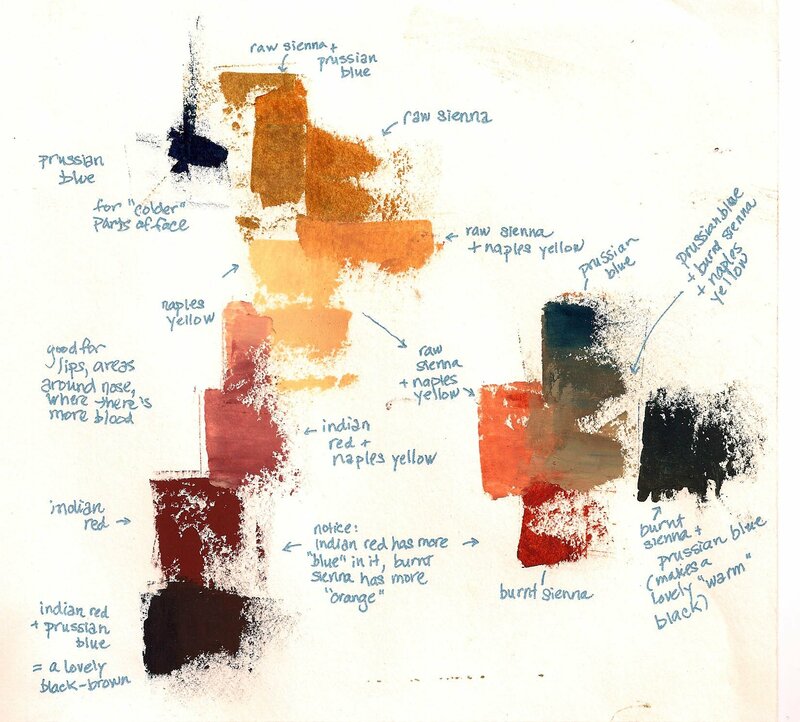 In order to represent the complexity of skin tone, one needs to be able to do a lot of color mixing to have intimate knowledge of how to achieve the subtlest variations in color.